Plenty of smartwatches are currently being designed and making it to market, but perhaps a smartwatch made of black plastic or aluminium might not be your perfect gadget to suit your style. 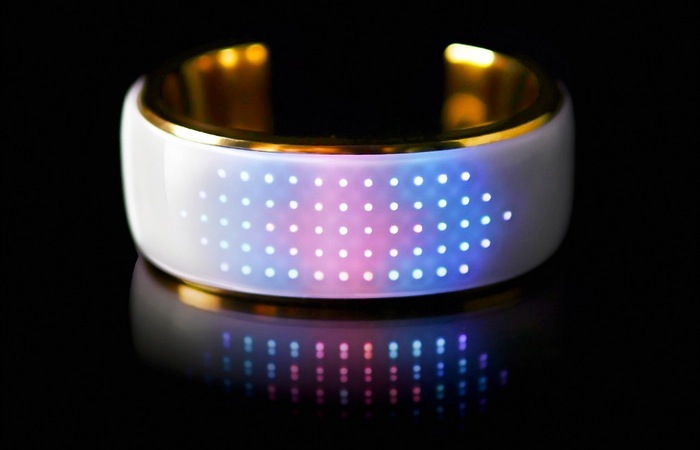 Enter Elemoon a new touchscreen smart bracelet. The Elemoon smart bracelet that has been designed to be able to provide you with a visual notification of incoming messages and calls whilst providing a more subtle and stylish wearable. Watch the video after the jump to learn more about the Elemoon project and see it in action. “Elemoon is the world’s first smart accessory that lets you change its light designs to match every outfit or occasion. elemoon can also alert you to important calls, find your phone if you lose it and much more! At the very beginning, we knew we wanted to make something different. We decided to start with a bracelet and gradually master the art and science of a whole jewelry line: necklaces, earrings, cufflinks—you name it! Everyone on our team is obsessed with colors and Native American jewelry. And we have an eclectic taste in fashion. So we started to imagine recreating traditional jewelry with futuristic material and interactive features. So if you think Elemoon is something you could benefit from, visit the Kickstarter website now to make a pledge and help Elemoon become a reality.